In the recent Lok Sabha elections, Mr Rao had set a target of 16 seats from the state to pursue his Federal Front dream. Hyderabad: For the local body elections, TRS president and Chief Minister K. Chandrasekhar Rao’s has come up with a fresh number: 32. He wants the party to win all the 32 zilla parishads and secure the chairperson’s posts. In the recent Lok Sabha elections, Mr Rao had set a target of 16 seats from the state to pursue his Federal Front dream. Before that, he had wanted the TRS to win 100 seats in the Assembly. Mr Rao on Monday chaired a meeting of the party’s extended executive committee which comprises ministers, MPs, MLAs, MLCs, party office-bearers and others and discussed the ensuing local body elections. Mr Rao told the meeting that the party would win all the 16 seats it contested in the Lok Sabha elections. 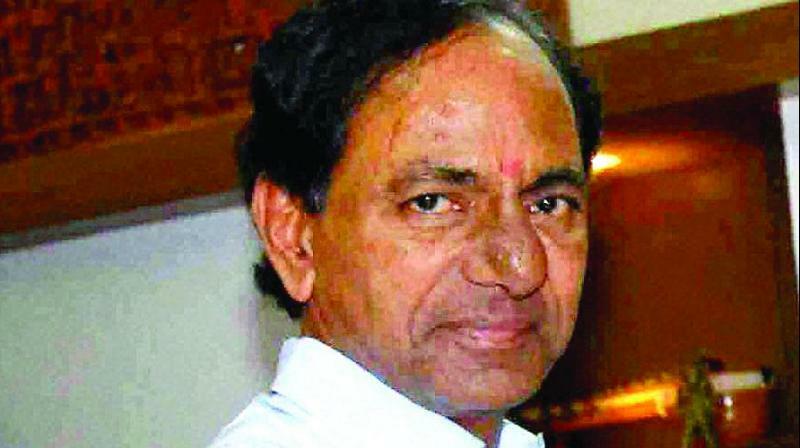 He said he had received 10 reports all of which stated that the TRS would win all 16 Lok Sabha seats. Mr Rao said that after the Lok Sabha elections, the TRS will play a key role in national politics. Regarding the local body elections, Mr Rao said the TRS should win all the 32 zilla parishads in the state. He said that the MLAs would select the ZPTC and MPTC candidates in their constituencies. He asked ministers to coordinate with all the leaders to sweep the elections. Mr Rao pointed out that the TRS has 100 MLAs and would win 16 Lok Sabha seats. In the local body elections, all 32 ZPs should belong to the TRS. To win 535 ZPTC, 5,857 MPTCs and 32 ZPs, Mr Rao appointed ministers, MLCs and MPs to act as coordinators.